Moose Jaw (Thunder Creek Model Railroad Club). 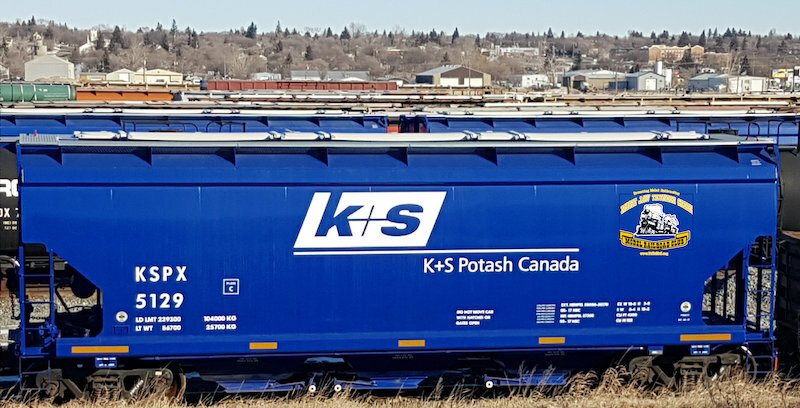 They contacted us yesterday and asked if we would now do a blue K+S car for them with their Club Logo. After producing the Canpotex Club car we did for them last year, they realized they didn't make nearly enough. Now we know how popular these cars are.